Croatians stock images by Aurielaki. Fans Football illustrations in EPS10 EPS JPG AI SVG. SKU: Croatians-Football-Fans-AurielAki. Categories: Cartoon Sport, World Cup 2018 Russia Soccer. 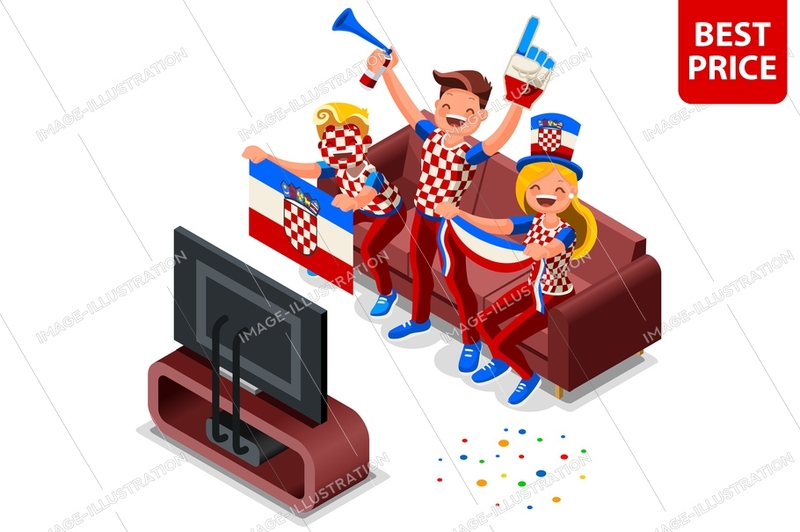 Tags: 2018, active, ball, cartoon, celebrating, character, cheer, cheerful, collection, color, concept, croatia, croatians, crowd, cup, day, event, fans, female, flag, flat, football, friends, fun, game, girl, group, happy, illustration, isometric, joy, male, national, party, people, pose, russia, set, soccer, sports, supporters, supporting, team, vector, victory, white, woman, world, young.